Just because I was eaten by work doesn’t mean there was no knitting going on at my house. 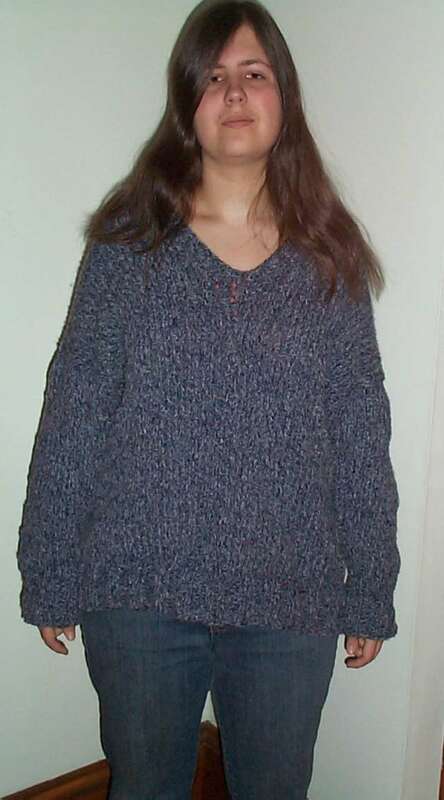 I’m very proud of Elder Daughter (currently in 11th grade), who completed her first sweater this weekend past. She used Sirdar Denim Ultra – a very soft and lofty cotton/acrylic blend, and made a top-down original, working off a pattern produced using Sweater Wizard. She did all the steps – knitting gauge swatches until she had one with a hand she liked, then calculating the gauge; taking body measurements; inputting the gauge and measurements into SW, and then tinkering with different lengths, eases, and necklines until she got the look she liked (comfy/baggy, for relaxing after class). Then she cast on and followed her pattern to the end. She had a ton of fun working through the project, and is extremely happy with the end result. Her only criticism of the yarn is that it’s a bit splitty, and being composed of lots of individual smaller strands, does have a tendency to catch on things. 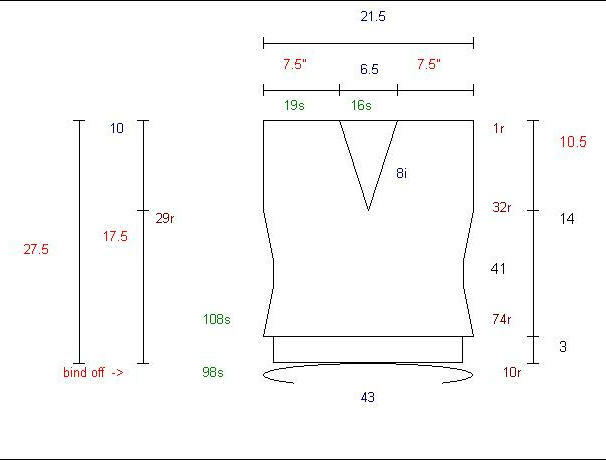 Note: Sweater begins at the top back and is worked to underarm back. Cast on sts are picked up to work to front underarm. Remainder of garment is worked in the round. With larger straight needle, using a provisional cast on 54 sts. Work Back to Underarm Working back and forth, work until piece measures 10.5″. Place sts on a string. Slip 19 left shoulder sts (from cast on string) on needle, skip 16 back neck sts. Slip 19 right shoulder sts onto needle. Using two balls of yarn, begin neck shaping as follows: Inc 1 st at neck edge every 3 rws, 3 x. Then every 4 rows, 5 x. Complete Front Top: Work even until piece meas same as back. Slip front body sts onto scrap yarn. Pick Up Sleeve Sts [pick up 4 sts, skip 1 row] 4x [pick up 5 sts, skip 1 row] 2x to shoulder. From shoulder down [pick up 5 sts, skip 1 row] 2x [pick up 4 sts, skip 1 row] 4x (52 sts) ending at underarm. Place marker, join. Work 1 rnd. Begin sleeve shaping: Dec 1 st on each side of marker every 2nd rnd 6x, then every 4th rnd 8x. Cont in pat st until piece meas 15.5″[rnd 46]. Change to smaller needles for cuff. Sleeve-to-Rib Dec Round: [Work 7 k2tog, work 6, k2tog] 1x, work 7. Work rib for 10 rounds[3″].Bind off 22 sts. , P2. Repeat from * to end. Work 10 rnds.[3″]. Bind off. With smaller circular or dp needle and RS facing, pick up 16 sts from back neck, pick up 22 sts from left neck edge, place center marker, M1 st in center, pick up 22 sts from right neck edge, place end of round marker. (61 sts) Rnd1: work in k1, p1 ribbing to within 2 sts of center marker, ssk, pm, k1, k2tog, work in k1, p1 ribbing to end of round. Rnd2: work in estab ribbing to within 2 sts of center marker, ssk, pm, k1, k2tog, work in estab ribbing to end of round. Repeat rnd 2 for approx. 1″. Bind off loosely in ribbing. 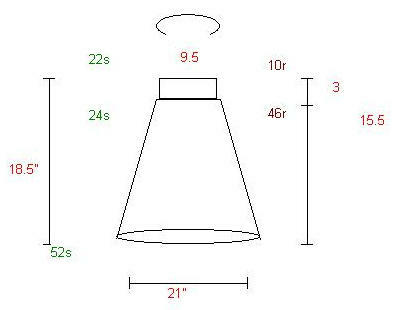 Pattern and schematics produced using Sweater Wizard software. Pattern copyright 2008, Alexandra Salazar and Kim Brody Salazar. Oh wow! Is that daughter and her sweater? What a beautiful job she did! Great color too.